Are you interested in better balance and stability? 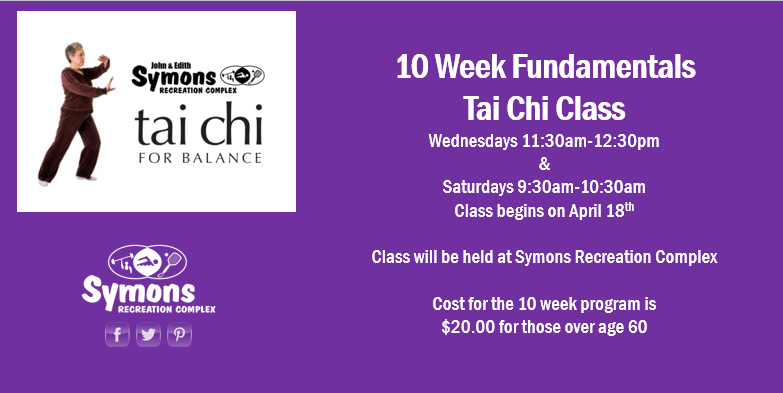 Tai Chi Fundamentals is considered an evidence-based fall prevention course for older adults. Tai Chi is a non-impact exercise, it is easy on the joints and is a gentle workout for your legs. Research has shown that Tai Chi has numerous health benefits including; strength, flexibility, cardiovascular and respiratory. Tai Chi classes offered are Adapted Tai Chi courses.